East Atlanta Village has finally come of age. 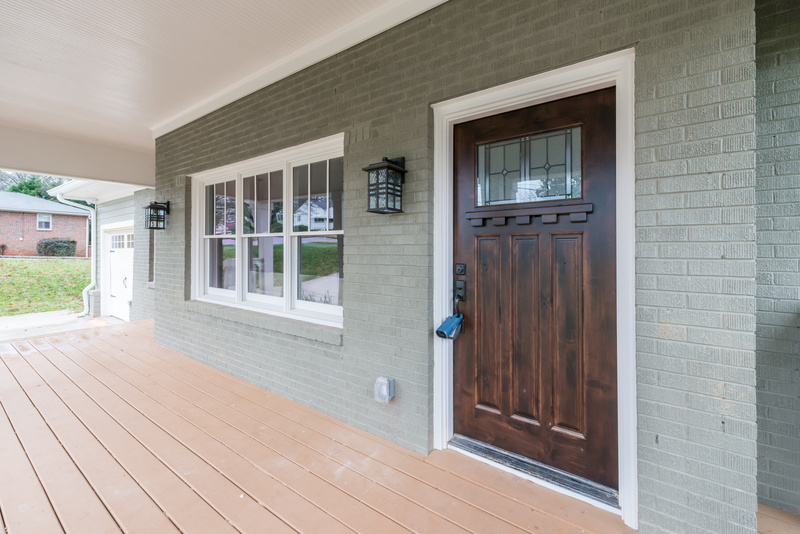 And at 1516 Van Vleck Avenue — with its five bedrooms, hyper-central location, and sparkling-new construction — you (and your family) have finally arrived. Trying to buy just the right home Intown is a challenge. Downright frustrating in many cases. Those reports of over a "thousand people a month" moving Intown are true, and housing inventory is at an all-time low. Many buyers are left with the feeling they will have to snap up almost anything that pops up or be left behind. If you've had the discipline to wait for the ideal home to appear, your patience may be rewarded here. East Atlanta Village has, for several years now, been a neighborhood in transition. Ask around, and if you query a long-time Atlantan about EAV, you’ll hear one of two things. On the one hand, it’s long been a spot for the trendy to catch a set by an up-and-coming band before (or after) grabbing a bite to eat at a legendary hole-in-the-wall eatery. On the other hand? It’s the epitome of that most desirable of Intown Atlanta neighborhood: quirky, chill, and packed with character; close to everything you’ll need to be close to; and increasingly, a safe, reliable place to plant your roots for the long-term. Does this mean that EAV is losing its rough-hewn charm and that the organic quality that defines it is gradually slipping away? Not in the slightest. Nor would it ever want to! There is, after all, a “vibe” to these neighborhoods that border the I-20 Corridor: an intangible mix of eccentricity, old-city allure, and community that combines with the fact that this part of Atlanta is just a fun place to live. Fun, and centrally located. It’s always nice to find a spot that actually feel like a neighborhood, while still being less than a few miles from Decatur, the Gold Dome, all the main surface streets, and every major junction that’ll get you, well, wherever the heck else you need to get to (and for when you don’t need to be in a car, the heart of EAV is about five minutes by foot, so bon appetit). Which brings us to the house itself. If you look up 1516 Van Vleck Avenue on Google Maps (we know you already are), you’ll get a little confused. The last time one of those Google mapping vans cruised down this street was in 2015. Cross-reference with the images on this listing, and you’ll notice a pretty drastic difference — that old-school, mid-century brick ranch has been razed and replaced with an elegant gabled affair that stands on the footprint today. In other words, 1516 Van Vleck still has whiffs of that “new home smell,” and more importantly, presents myriad aesthetic nuances today’s homeowners are looking for. 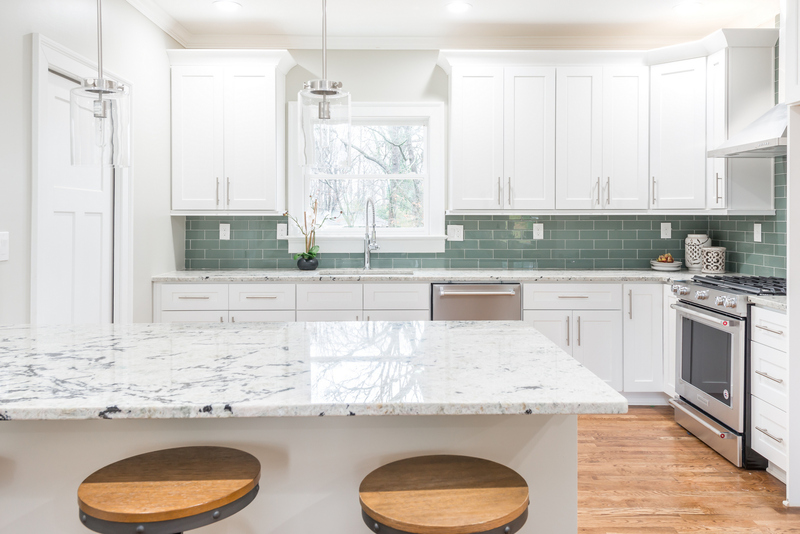 Are you already looking for a home in East Atlanta Village, but have padded your budget with an extra $20,000 to (inevitably) remodel the kitchen? Are you worried about chewing your fingernails in anticipation of what the home inspector will say about the foundation of an otherwise ideal property? Heck, what about the roof? Throw those concerns out the window — just one of the perks of buying a home that’s newer than most smartphones. Once you walk through the front door of 1516 Van Vleck, you’ll find that the home doesn’t harbor a lot of surprises. Not in the form of obscure novelty, anyway. Hardwood floors flow from room to room, offsetting a color palette of soothing, neutral tones. The living and dining rooms are one and the same, and the open layout does a lovely job of parceling out the spaces without getting too cramped or cluttered. The lynchpin of the lower level, therefore, rests in the kitchen, with its clean custom cabinetry, stainless steel appliances, and a wall-to-wall tile backsplash that will make you want to spend 90% of your waking hours huddled over a complementary colored Le Creuset (admit it — you can already see a canary-yellow stock pot simmering on the stove). While the generous floor plan of 1516 Van Vleck is most in line with the needs of a growing family (five bedrooms — two on the ground floor and three upstairs grant a lot of room to spread out), the traditional, modular design lends itself well to a pretty hefty swath of lifestyles. One or two home offices can easily occupy the downstairs quarters while still being well out of the way of your “at home” life. 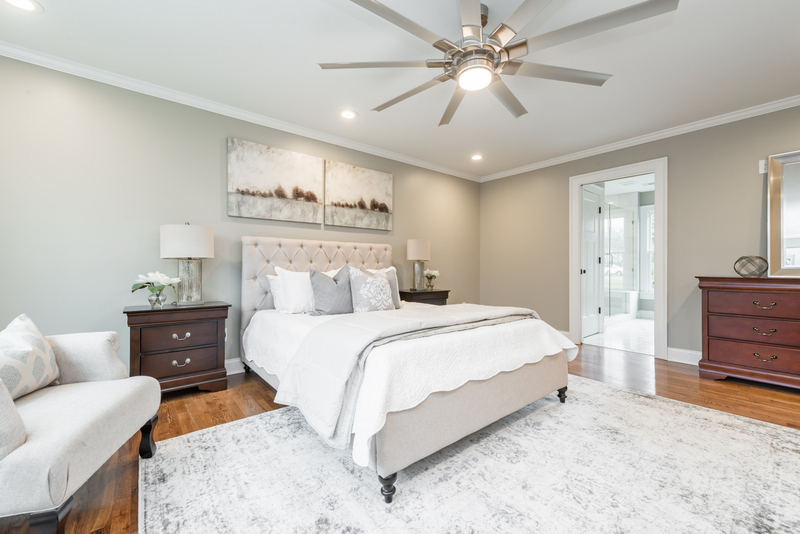 One-and-a-half bathrooms downstairs tend to the needs of visiting family and guests, while two full baths on the upper level knock out the rest (check out the master bath in particular… we’ll wait. But that tub, right?). As far as storage space is concerned, particular attention has been paid to closet layouts, while a spacious garage gives overflow while still lending enough room for a car. With these many turnkey elements included, there is some room for the imagination to run. Aside from a spacious wooden deck, the back lawn is mostly a blank slate. We’re not quick to prescribe, but if you need a person who specializes in fire pits and patio setups, let us know, and we’ll hook you up. At the very least, there’s plenty of room to toss a ball around or romp about with the dog until your own “eureka” moment comes. 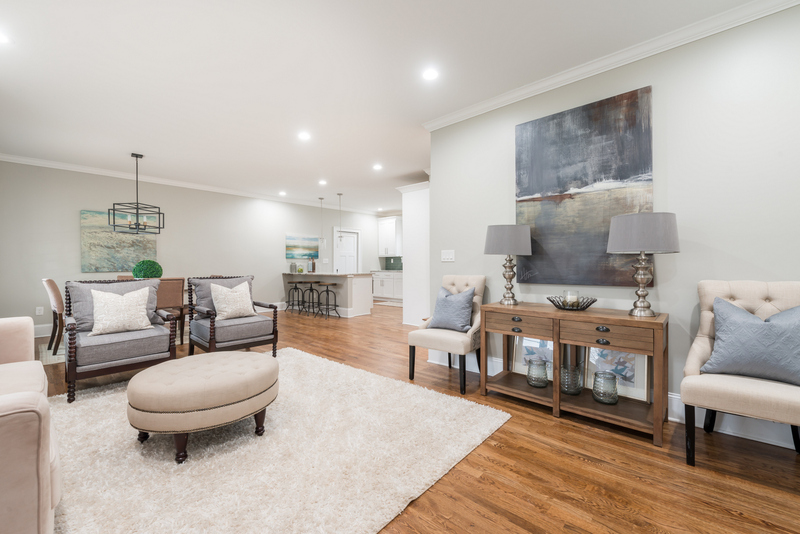 So, there you have it: Spit-polished new construction, big enough for a large family without feeling McMansion-y, blending modern amenities with decidedly timeless charm, smack-dab in the middle of one of the coolest, most centrally located neighborhoods in Atlanta. It’s not often that we administer superlatives, and the word “perfect” is a strong one. So, we’ll be content to leave the conclusions up to you. The seller is represented by Joshua Keen & The Keen Team.